Telford & Wrekin Council Leader Shaun Davies has welcomed yesterday’s decision to allow time to independently review plans for the future of hospital services. 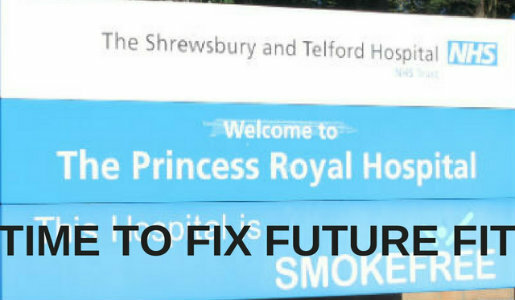 This follows the area’s Clinical Commissioning groups’ (CCGs) deadlock on a recommendation from the Board of Future Fit to close the Princess Royal Hospital’s Women and Children’s Centre and A&E and move them to Shrewsbury. The outcome from this deadlock is that the CCGs have acknowledged the need for an independent review of process and methodology used by Future Fit in its appraisal. This follows concerns about the process raised by the Council first in October and now by others. The Council says that for a review to be truly independent it must be led by someone outside the NHS and that the two CCGs, not the Future Fit Board, must take responsibility for who they appoint to lead this. The Council says it would welcome the opportunity to help with this and agree any expert review’s scope. The Council had already flagged a number of concerns about process and methodology, which the Future Fit Board has now conceded it cannot answer. Last night’s meeting also heard that other concerns about Future Fit including affordability and funding have also been expressed by NHS England and other NHS bodies who said more work was needed on the appraisal. A number of caveats expressed by both CCGs earlier this year when a strategic outline case was approved have also not been addressed. Cllr Davies said: “There’s now a number of very justified concerns about Future Fit piling up. “It’s a mess - only someone truly independent can sort it out. The CCGs must take control now and stop Future Fit, who have spent three years and £3 million getting nowhere, acting as both judge and jury. “We want to work with them to help ensure they find the right person who the public can be confident will carry this out in a truly independent way. “We have long said that the Future Fit process was flawed and until we get the findings of the independent review, the threat to PRH services continues to be very real. It was very clear last night that this is the direction Future Fit still seem determined to continue in. “We call again on the Secretary of State for Health to bring in interim support from neighbouring areas to keep both PRH and RSH A&Es open in the short to medium term. “But our long-term position remains, there must to be two fully-funded, staffed and equipped A&Es, this county’s healthcare system is underfunded and there is a special case here due to the size and nature of the area for more resources. “We now have an opportunity with our MPs Mark Pritchard and Lucy Allan, Shropshire Council Leader Malcolm Pate and for me to meet the Health Secretary Jeremy Hunt early in the New Year to make that special case.